After VHS, Sony's 8mm format was perhaps one of the most popular for recording home videos. 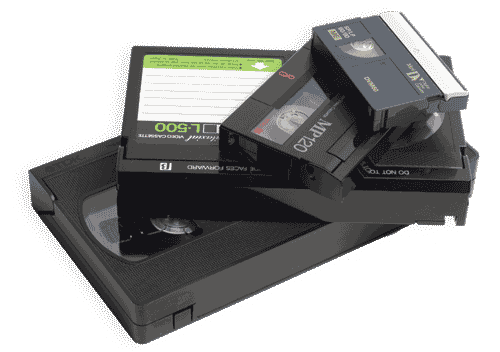 However many 8mm cameras stopped working long ago, making it impossible for many people to enjoy the video recorded on these tapes. For this reason many people have their 8mm tapes transferred to DVD. DVDs provide several advantages. They take up less room, last longer, and make it easier to jump to a particular section of the video when you are looking for a particular video clip. We run all of our 8mm to DVD conversions onsite, and can turn most jobs in one to two weeks, depending upon order size and time of year. If you're in a rush, give us a call and we'll do our best to astound you with top quality service that meets your deadline, even if it was yesterday. Whether you need to transfer just one tape, or a thousand, we can provide you with transfers you'll be proud of. Prices include the printing of a title directly on the face of the disc and a full size DVD case with a color insert. Additional packaging options are available for an additional charge. Prices do not include applicable sales tax.